"Thirdly, - I give and bequeath unto John H. Wilkins, Sampson Reed, and Peleg W. Chandler, Esqrs., of Boston and to Theophilus Parsons, of Cambridge, the sum of fifteen thousand dollars, to them and their successors in trust, to l)c used and applied at their joint discretion for the benefit of the General Convention of the receivers of the doctrines of the New Jerusalem in the United States; with full power and with instructions to supply by appointment and joint selection any vacancy which may at any time during the existence or continuance of this trust arise from the inability, death, or resignation of any one or more of the above-named trustees." Mr. Wilkins died before Mrs. Rotch. 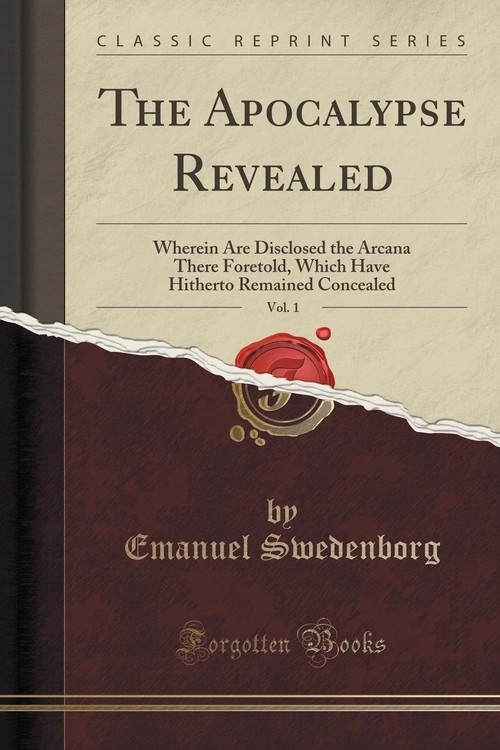 The Trustees, in their report to the Convention in 1873, expressed the intention of devoting a portion of the Rotch Fund to the publication of a new edition of Swedenborg's Theological Writings. The Convention approved thereof, and referred this part of the report to the Board of Publication, recommending to the Board, and also to the Trustees, that they co-operate in the work. The Board appointed a committee, consisting of Rev. James Reed, Rev. T. B. Hayward, and Rev. J. Worcester, to confer with the Trustees in the preparation of translations or revisions; and this committee have attended to that duty. "The Apocalypse Revealed" is now offered to the public as the first-fruits of these labors. This translation was made by Rev. T. B. Hayward, and revised by Rev. John Worcester.